Do you love horses? We do too! 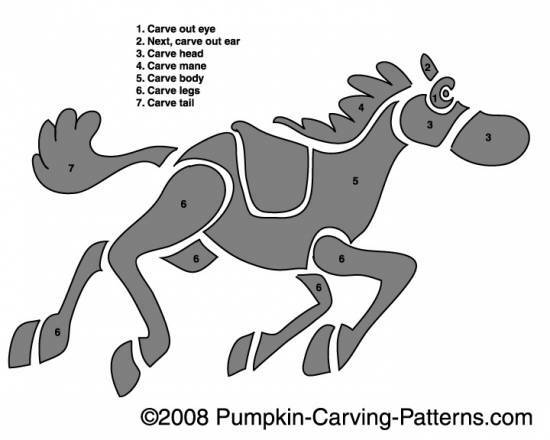 Check out this great wild horse pumpkin carving pattern! This beautiful horse is in mid stride with his mane blowing back and his hooves in the air!